Get your own Kansa Face Wand with FREE iYURA Kansa Oil™ here now! Small wand does so much. I purchased the wand which included a free bottle of oil about a month ago. I can't say enough good about this wand. ...I cleansed my face and applied the oil which smells wonderful and let the wand do the work. I am so happy I decided to order this product. It really works. It's very relaxing and worth every penny I spent for it.No I want the medium wand. Already bought it for my mom, sister, and best friend! I’m going to turn 60 in 5 weeks. After using my wand and oils, my teenage daughter said to me for the first time ( and they’re usually most critical of anyone ) “ mom, you look better without makeup"!!!! Thank you so much for such wonderful products. You smoothly roll it over your forehead or gently caress your cheeks or chin with it, this ultra-versatile tool can slide over your entire face and even neck area with exemplary ease. Just around 10 minutes... That’s all the time it takes for the KANSA WAND to breathe life into your face and make it feel and look rejuvenated! Made of wood and a specific alloy traditionally known as the finest healing metal, there are no attachments, no batteries, or anything needed other than the tool itself. It is a tool for life that will last a lifetime. This unique tool balances the subtle energies of body & mind by harmonising the balance between the three doshas or Ayurvedic bio-energetic principles of Vata, Pitta and Kapha. This can prove to be your go-to companion at the end of a long-tiring day when both your face and spirit may find themselves wearing a jaded look, in need of some much-required pampering and rejuvenation. And most importantly, it helps you appreciate and take care of yourself! 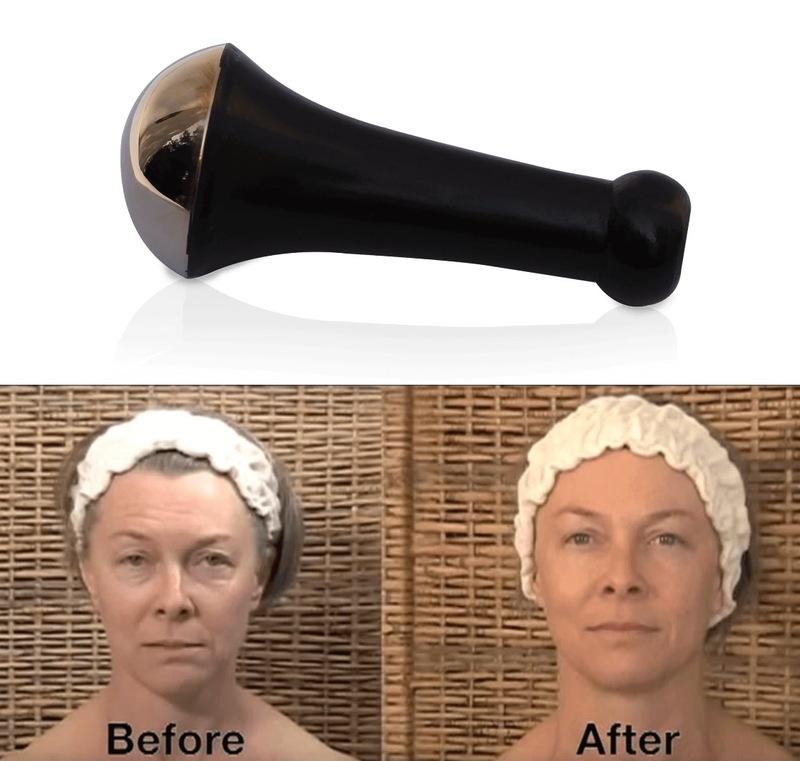 What really is the Kansa Wand for Face and how does it work? KANSA, pronounced as ‘Kaahn-sah’ has been famous as the healing metal of India. Ayurveda, the ancient Indian science of life has revered Kansa as a healing metal and has used it in healing bodywork, acknowledging the detoxifying effect of the Kansa, since ages. A unique version of bronze, Kansa is a mix of pure copper and tin in a fixed ratio. If you go through some popular beauty and skin-care magazines, you’ll find a whole new range of products that promise a great face life, a lot of which would contain copper. One of the latest trends in the beauty industry is the use of Copper Peptides in skin creams due to its collagen generating properties- and you’ll be able to find copper pillows, copper infused skin creams and even hair care products abound in popular stores. While this is a relatively new discovery for modern science, traditionally, this special alloy of Copper and Tin has been used for thousands of years! For years this metal has been used in traditional Ayurveda to deliver therapeutic massages for detoxification, relaxation and cooling, healing effects in the form of a Kansa bowl known as the Kansa Vataki bowl. This Kansa Wand, with an appealing design, is a modern version of the Kansa Vataki bowl. And it is super-convenient to use. The Kansa Face Wand has been engineered and devised considering the skin contour & texture of the human body. It has a broad convex base made with an alloy of pure Copper & Tin in a specified ratio with a natural wood handle to make it comfortable to hold. The smooth finishing of the Kansa massage wand ensues undeterred contact with the surface of the skin while massaging with it. 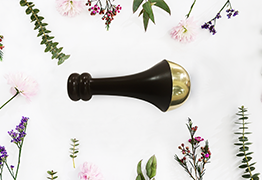 Over skin that is gently moistened with oil, the base of the Kansa massage wand gets rolling smoothly without causing any discomfort to the beneficiary of the massage treatment, in fact, it generates a rather pleasurable and enjoyable feeling. You should also know, these tools are made by hand- artisans spend hours creating this wand. It is TOTALLY natural, requires no batteries, no electric current, no chemical solutions whatsoever! 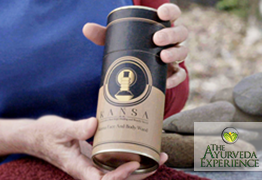 Take 3-8 drops of Kansa Oil™ in your palm and take a moment to enjoy the aroma of the oil – this is a self-care ritual. Gently dab across your face, neck and décolleté to assist the smooth gliding of the wand. Take more or fewer drops to suit your moisturization needs. Gently use the wand in circular strokes, circles around the eyes (people love this move, in particular!) in circular and zig-zag strokes from one side to the other, strokes along the cheekbone and the jawline. If required, pump some more oil out on a damp cloth and wipe your face clean with it. You can massage not just yourself but also your loved ones, with equal ease! 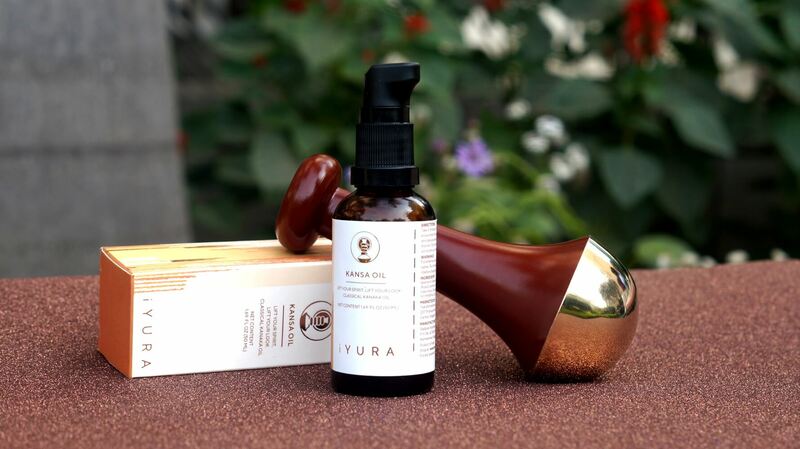 Get Ayurveda's Legendary Uplifting Tool- The Kansa Wand and get FREE iYURA Kansa Oil™ here now! You should know that The Ayurveda Experience Kansa Wands are special. We are the first to make the Kansa Wands available online to such a large number of people throughout the US and other countries. We use the finest quality of wood and lab tested metal for our wands to ensure you experience a premium quality product. Our wands are metal tested, packaged in a unique vacuum packaging so that no fingers touch your wand once its made and it stays completely hygienic. We also have your back- with 100% Satisfaction, 30 Day Money Back Guarantee, we ensure that you're well taken care of. Not only that, with free shipping (use coupon code FREESHIP) and discounted rates, we're bound to give the best experience, including after-sale care by answering all your questions, helping you with your other Ayurvedic skin care needs and more. As we're also the ones who have published the original and the only online Kansa Training Course by the pioneers of Kansa in the USA, we have access to our experts who will be happy to answer all your queries too. The only thing you need to take care of is not to expose the wand to heat. Also, ensure to clean it after every use. Kansa Face Wand involves hassle-free maintenance. Simply clean with a drop of tea tree oil and damp cloth, or Kaolin clay and then wipe it off. That's it! 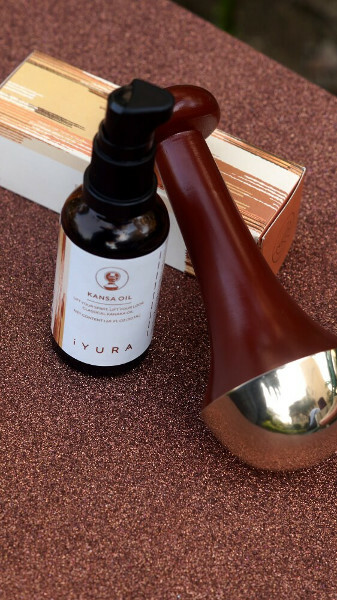 At the Ayurveda Experience, we have formulated the legendary - iYURA’s Kansa Oil™ specifically for use with the Face Wand. 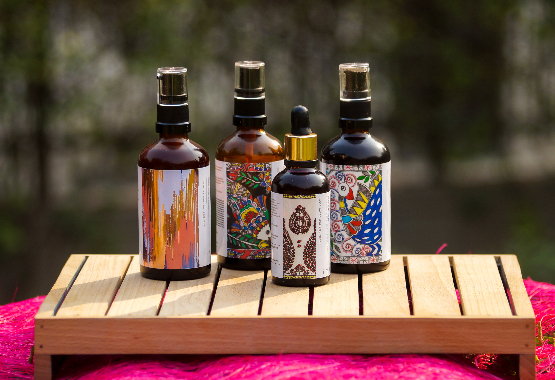 Based on the classical Ayurvedic formulation of 'Kanaka' Oil, this oil is a unique formulation that not only gives the perfect glide needed for the wand to do its work but also brings you the superlative skin benefits of specific Ayurvedic herbs. This ultra-light oil is very inviting, particularly for those who’re afraid of using oil for the fear of clogging their pores which could provoke bring outs or having a sticky residue. This light formula gets absorbed into your skin unbelievably easily, does not feel heavy or pore-clogging and yet, allows the wand to flow freely on your skin. Get your Kansa Wand with FREE iYURA Kansa Oil™ here now! 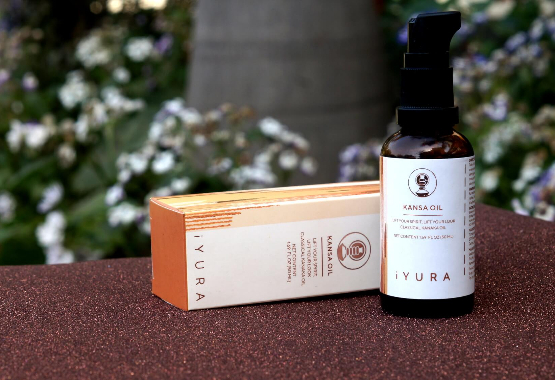 How is iYURA Kansa Oil™ different from other oils? iYURA’s Kansa Oil™ has been specifically formulated for use with the Kansa Wands. It's a unique formulation that not only gives the perfect glide needed for the wand to do its work but also brings you the superlative skin benefits of specific Ayurvedic herbs. Kansa Oil™ is ultra-light and does not leave a sticky residue. This light formula gets absorbed into your skin unbelievably easily, does not feel heavy or pore-clogging, and yet allows the wand to flow freely on your skin. The presence of Clary Sage essential oil in the Kansa Oil™ heightens the stress-relieving benefits of a Kansa Massage, very pleasantly. This makes this oil a complete offering in itself, with both occasional de-stressing and complexion-enhancing benefits, just like our Kansa Wands! You should know that The Ayurveda Experience Kansa Wands are special. We are the first to make the Kansa Wands available online to such a large number of people throughout the US and other countries. We use the finest quality of wood and lab tested metal for our wands to ensure you experience a premium quality product. Our wands are metal tested, packaged in a unique vacuum packaging so that no fingers touch your wand once it's made and it stays completely hygienic. "As soon as I started using it, I immediately felt its incredible power. There is no exaggeration here, massaging one's face with this Wand, you can feel the warmth and its soothing effects. I think this might be the best thing ever for my skin and well-being." "I just received mine. It does help the tension and my face pain, due to stress, I use it before bedtime and it has helped me a lot. Like anything else, you have to be consistent to use it, my face and neck pain is getting better and I am glad with the results." Kansa Personal wand comes with its remarkable gratifying quality. Use this versatile tool gently over your face to soothe fatigued skin, breathe life into listless skin, get even-toned skin and flaunt a radiant complexion. All this, with a quick 10-15 minutes of absolutely one-of-a-kind, blissful massage. Order now and get the iYURA Kansa Oil™ – the first & only authentic Kansa Oil™, specially formulated for the Kansa Wand - ABSOLUTELY FREE! If you already have another iYURA oil, is this oil still worth purchasing? Absolutely! iYURA Kansa Oil™ has been specifically formulated for use with the Kansa Wands. Our other face oils can be used as a standalone skin care regime, or in combination with the Kansa Wands. They usually have a specific purpose, whereas iYURA Kansa Oil™ is a versatile oil that can be used both on the face and body. iYURA Kansa Oil™ does not contain any citrus ingredients and can thus be correctly used with metal wands. It's also a vegan oil and does not contain any cow milk or animal products. Herbal products contain various potent herbs. Read through the list of ingredients to make sure you’re not allergic to any of them. Always do a patch test before applying any new product directly to your face. Our 100% satisfaction, 30-Day Money Back Guarantee keeps you protected! If, under a rare circumstance, for any reason you wish to return a product, simply write back to us and we will ensure you’re refunded. A fast-paced lifestyle, excessive stress, environmental toxins are making us age much faster, and thus, the rising demand for products to protect the skin, keep it young, reduce wrinkles and fine lines is rising just as fast and quite understandably so. Fine-lines Fillers, face-lifting lasers, multipart massagers with ‘blue’, ‘green’ ‘white’ face-lifting creams- what not is available out there. But, BUT- are we really helping our skin or worsening it by using artificial boosters, complex electronic gadgets, creams loaded with chemicals? No rocket science, we all know the answer to this. We all know how crazy chemicals and complicated electronic gadgets quietly wreak havoc within our skin, interfering with nature and disturbing the natural equilibrium of the skin. 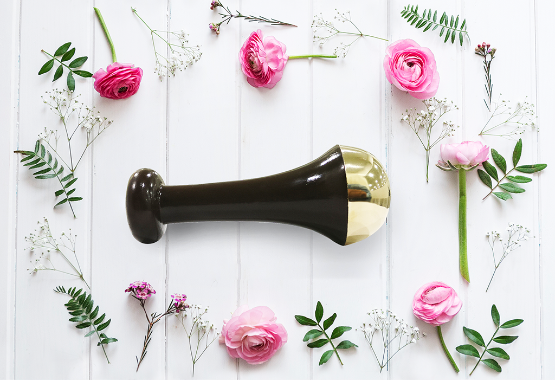 The Kansa Wand is the absolutely natural answer to save yourself from unnecessary damage and give yourself the youthful, glowing face that you deserve. It is safe, easy and most importantly, a very effective way to get that youthful face with toned skin and a luster that comes from within several layers of the skin. The simplicity is the beauty of this tool. Unlike complex electronic gadgets, wherein one can never figure out what the gadget is really doing to your skin, how is it affecting it long term, this simple tool is pretty honest and straightforward- Its power lies in the metal, renowned as the healing metal in India since ages and in the relaxing massage movements which touch the Vital Points or 'Marma Points'. 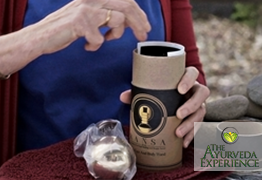 Get your own Kansa Wand and experience the joys so many others have experienced, for yourself! Ok! here is an honest review from my experience of the Kansa wand. Neither have I been offered a free wand or paid for this review, but I like to give credit where it’s due and feel compelled to give this feedback .As a cupping therapist I don’t often fall for all these gimmick marketing products that claim to make you beautiful and boast super results etc..but I must say brilliant item.. I used it for 10/15 minutes, on my face with my own combination of oils. I must say I am highly impressed. Everyone who saw me commented how radiant I looked and my skin glowed. I looked bright eyed and personally felt it also help with my dark circles. The lines around my mouth we’re almost non exsistent, I can’t believe how quick the results were noticeable. My freckles were also less noticeable and faded. Great item to use before going out, hardly had to wear make-up and let the glow did the talking.. just a bit of concealer and mascara and lippy. I am still trying to work out the science behind this wand!! I highly recommend and would score it 6 out of 5 if I could!!! A fast paced lifestyle, excessive stress, environmental toxins are making us age much faster, and thus, the rising demand for products to protect the skin, keep it young, reduce wrinkles and fine lines is rising just as fast and quite understandably so. Fine-lines Fillers, face-lifting lasers, multipart massagers with ‘blue’, ‘green’ ‘white’ face-lifting creams- what not is available out there. It is safe, easy and most importantly, a very effective way to get that youthful face with toned skin and a lustre that comes from within several layers of the skin. "My family is loving these tools. I'm excited to purchase some other face & body products soon." "Been using mine daily for several weeks and people cant believe how fresh and toned my skin looks and feels! It's the simplest and most relaxing beauty/health product I have ever used!" "I use it for my clients feet as a massage tool after foot soak in epsom salts and toe nail trim... they enjoy it..feels great!" 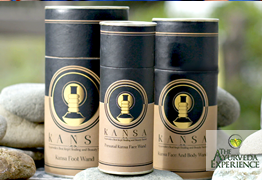 Get your personal Kansa Wand + FREE Kansa Oil™ Now!